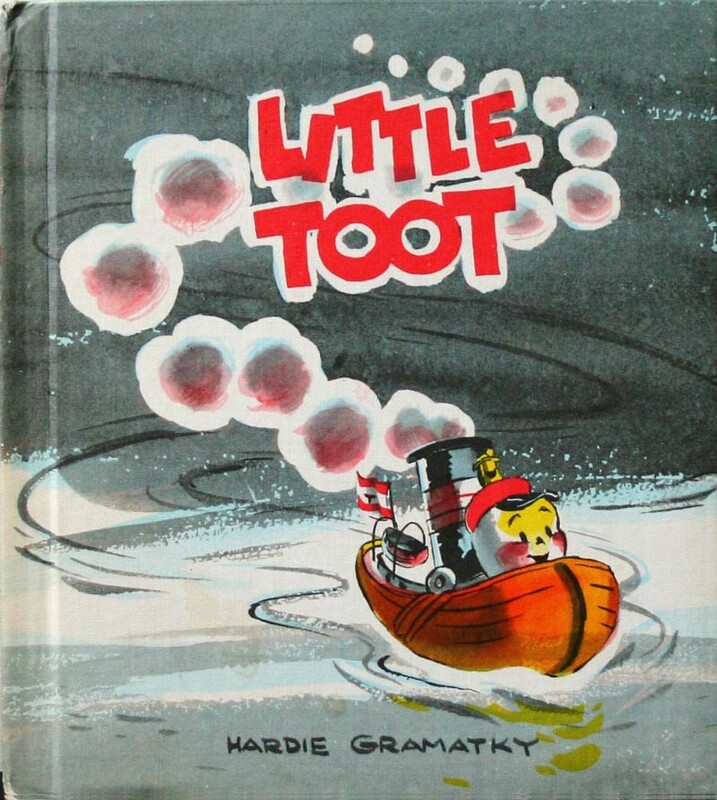 If you recognize the name Hardy Gramatky at all, it's probably in conjunction with the children's book character "Little Toot," which Gramatky wrote and illustrated in the late 1930s. 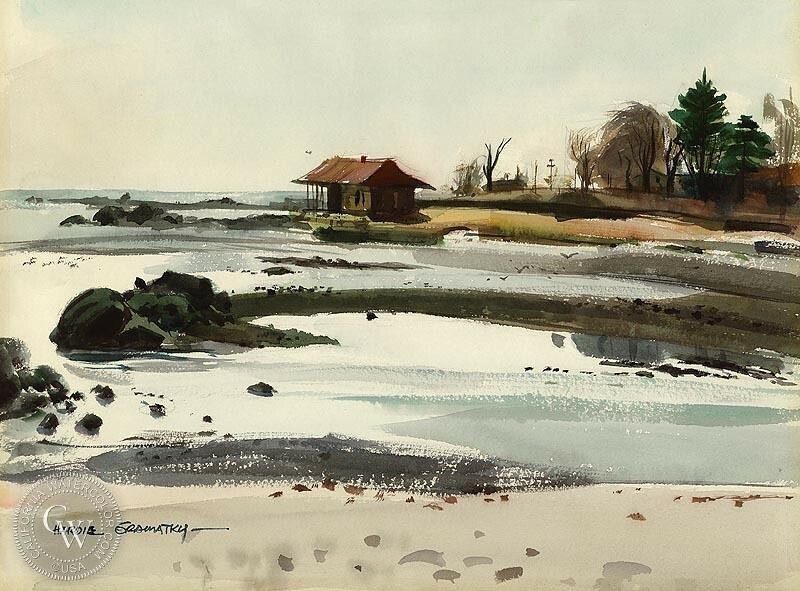 But Hardy Gramatky was also a fantastic landscape painter. 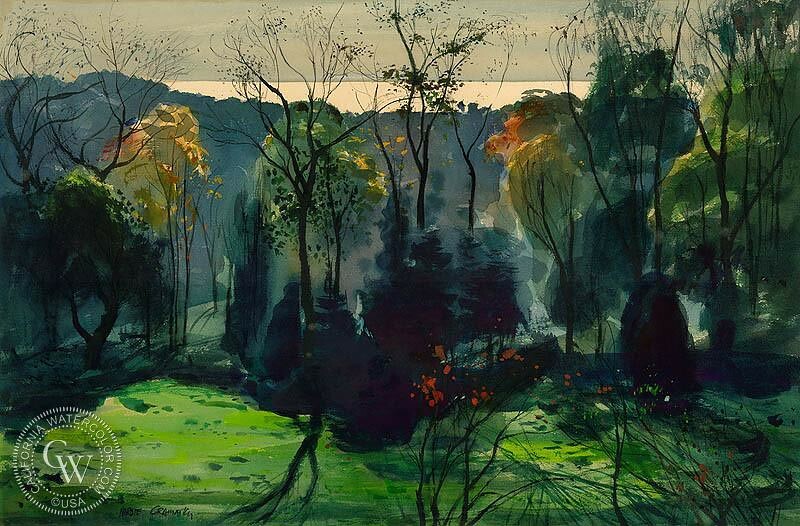 Beginning in his early days in art school (where he studied under the famous magazine illustrator Pruett Carter), Gramatky became so engaged in landscape painting that he typically produced five small paintings a day for a period of three years. Gramatky's daughter, Linda Gramatky Smith, points out that "Part of what made my dad so unusual [is] so often there's something happening in my dad's paintings. It's not just a scene -- there's something going on there." In the 1930s Gramatky worked for Disney Studios in California as a head animator. 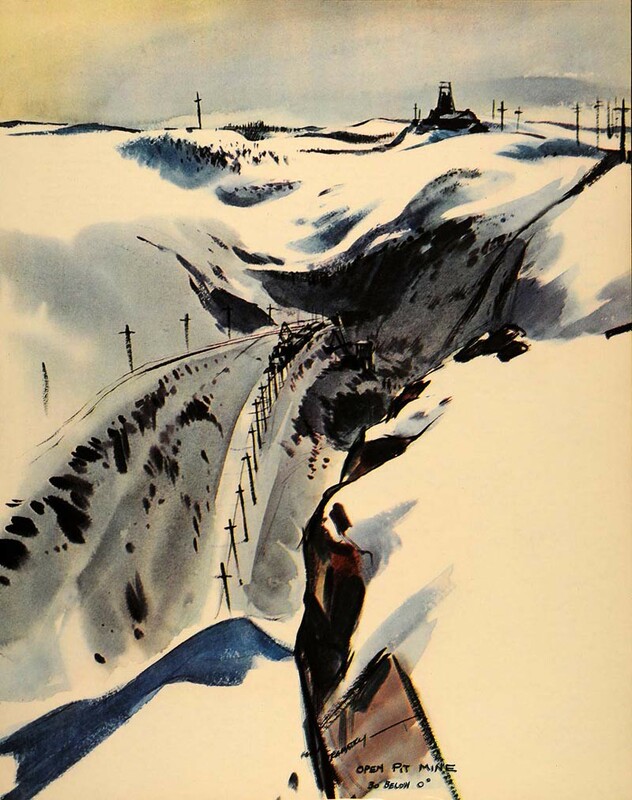 He then moved to New York and pursued a career as a book and magazine illustrator. 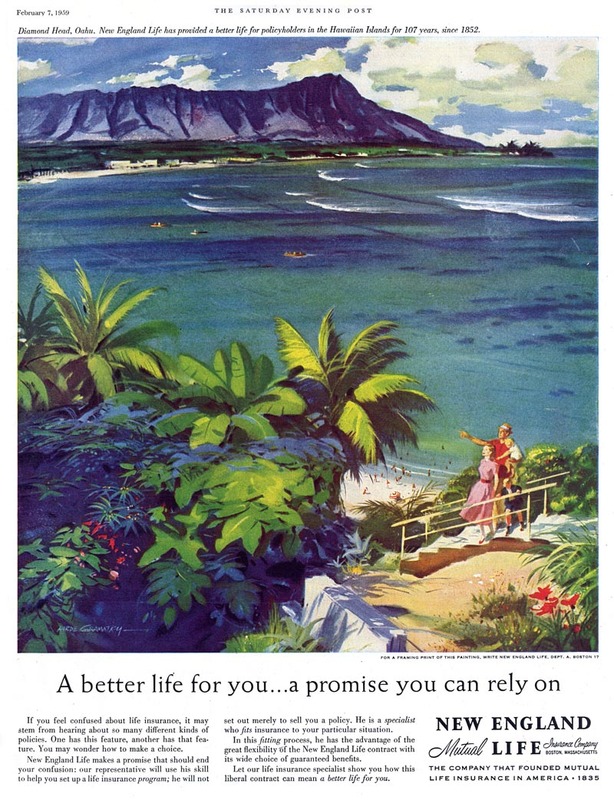 He created work for many leading magazines like Fortune, Collier’s, Woman’s Day, True, American and Readers Digest and for advertisers, including the piece below from a 1959/1960 New England Mutual Life Insurance ad campaign. Linda Gramatky Smith has put together a wonderful website in tribute to her father (and her mother, who was also an illustrator). Be sure to click on the many thumbnails to enjoy more examples of Gramatky's stunning work. 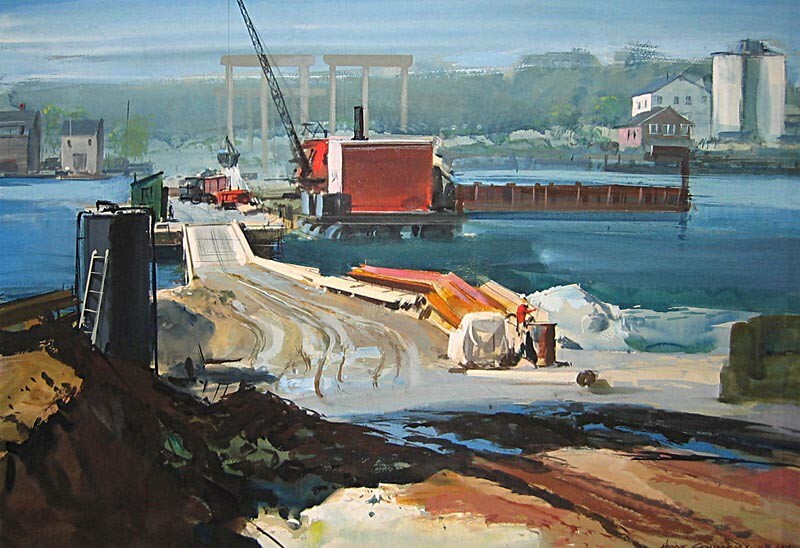 There is also a long and enjoyable biography - look for it in the website menu under "His Story"
Hardy Gramatky is one of my favorite artists, I have always admired his work, he's a master at watercolor. One of my favorites! In my opinion his genius is under-recognized. Terrific landscapes. 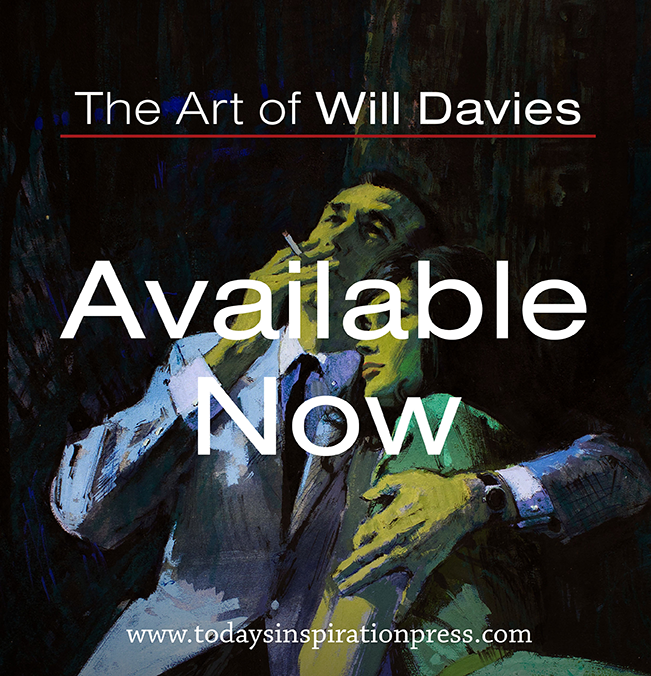 I hadn't heard about the 5 paintings a day... very cool tidbit. 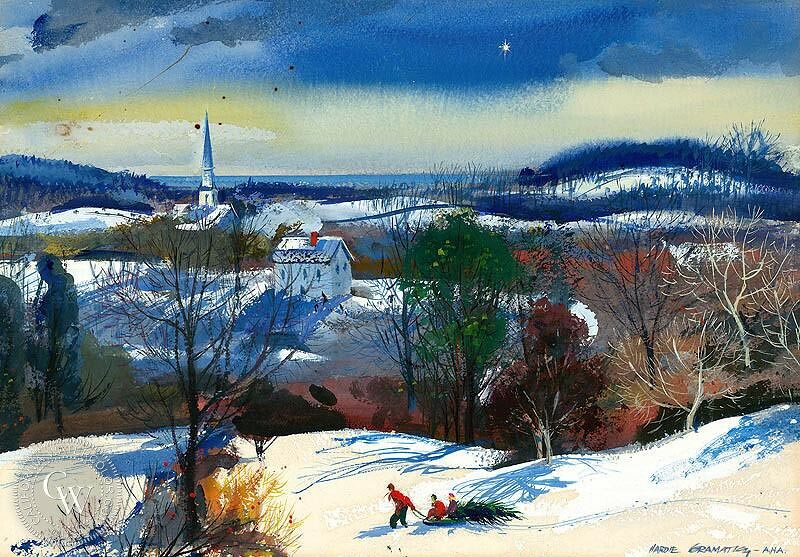 what a wizard a master watercolorist is! It looks as simple as waving a wand/brush over paper, but what skills are invoked! He visited my grade school in the late 1960's and drew the story of Little Toot on newsprint with charcoal as he told the story. A fond childhood memory.